Russian tuner TopCar has adapted its famous Inferno body kit to work flawlessly with the fourth-gen Mercedes G-Class (W464). The German off-roader received a redesigned front fascia leaning towards the AMG series in style. The main visual highlights are the aggressive-looking front spoiler, the black radiator grille with the TopCar logo on it, and the vented hood with a central power dome. All components are made of pure carbon, and the hood cover sports an inner lining made out of carbon/Kevlar. The deal also includes wheel arch extensions with sporty gill-like slits, large side skirts, a bulky rear apron with an integrated diffusor, a rear spoiler, and a spare wheel housing. 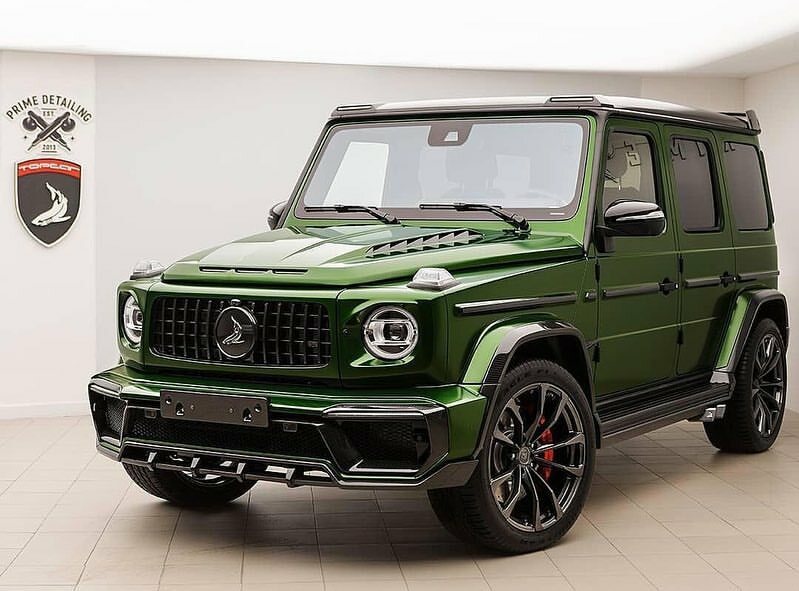 TopCar suggests painting your Mercedes G-Class (W464) velvet green to create a perfect contrast with all the black details. The tuner will also sell you a set of custom wheels and refurbish the interior, if necessary. The modded SUV will be present for everyone to see at the Geneva motor show on March 7 – 17, 2019.